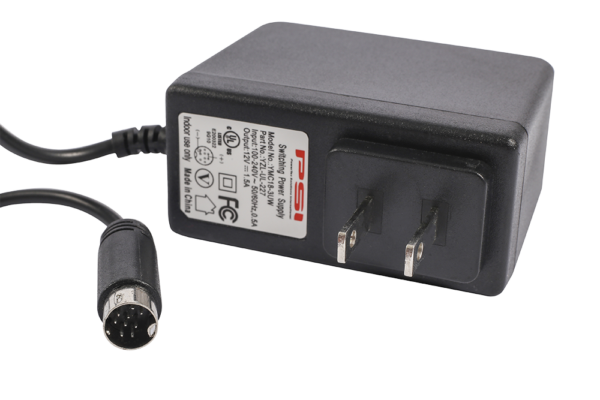 The PSI ONT Power Supply Series offers offers a full suite of 5, 12 and 48Vdc Switching Power Supplies to support all indoor residential FTTx ONT’s. The PS1218DIN model has integrated 9 Pin Din Connector for use with the Calix 716-I and 836GE models and PS1236-C-2 offers universal 8 pin molex connector and pin configuration for use with Calix GigaCenter (844/854), Adtran models 411, 324, 424 and iPhotonix iVolve Series. Other custom power supplies available for all ONT models. For more information and appropriate part numbers, please contact a PSI Representative through our “Contact Us” page.